If FileMaker isn’t careful, people are going to start saying that Bento is the database software maker’s flagship app. After all, the company—which offers an entire line of professional database applications under the FileMaker brand— already produces versions of Bento for both the Mac and the iPhone. On Friday, the software maker unveiled an iPad version of its personal database application, with a number of features designed specifically to take advantage of Apple’s new tablet. 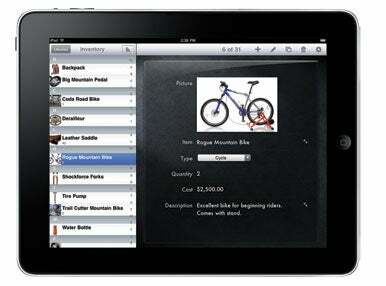 FileMaker now offers a version of Bento that’s been optimized for Apple’s iPad. Like its iPhone counterpart, Bento for iPad is a $5 standalone app that also happens to sync with the Mac version of FileMaker’s consumer-oriented database offering. But the iPad version figures to do a few things that the iPhone edition can’t by taking advantage of the device’s larger screen. “We’ve really taken advantage of this platform and this device and made something really special for it,” Ryan Rosenberg, FileMaker’s vice president for marketing and services, told Macworld. 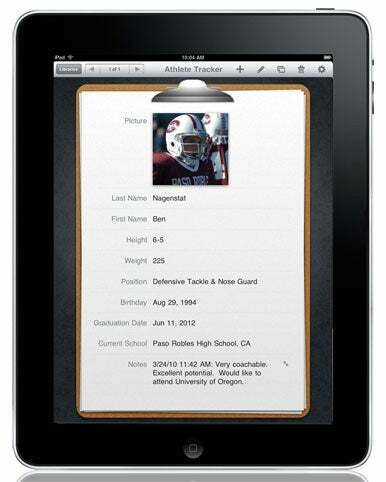 Bento for iPad supports both landscape and portrait views, and forms fill the device’s entire screen. Forms in Bento fill the iPad’s entire screen. The app also offers a split-screen view that shows both record and summary details. Forms orient themselves in either landscape or portrait view depending on how you’re holding the iPad. Bento integrates with several other applications on the iPad—Address Book, Google Maps, Mail, and Safari. In fact, the app offers a built-in browser—tap on a URL in a record, and you can view the appropriate Web page without having to exit Bento. The app supports 15 basic field types, such as text, numbers, e-mail addresses, and currency. (If you’re using Bento on the Mac, you can also include calculations, related records, and simple and encrypted fields.) In a particularly nice touch, many of the fields offer their own interface—tap on a date field and a scroll wheel will appear for setting the date, while number fields use a numeric keypad. FileMaker also makes it easy to keep text fields organized—you can expand them with a tap to read the full text, and then tap the field to collapse it again. Bento for iPad features a blank template if you want to start from scratch. But the app also offers 25 built-in templates—everything from contacts, notes, and to-dos to inventory, time billing, and issue tracking. The templates, in fact, give a clue as to who FileMaker sees as potential users of both Bento and the iPad. FileMaker’s Rosenberg outlined four potential user types for the app—business users collecting data in the field and managing events remotely; sales and marketing teams presenting portfolios and products; personal users keeping schedules, to-dos, and home inventories; and students and teachers, using the app for notes and attendance records.